To be a bridge providing simple, effective tools which train people to easily and daily hear God’s voice, see His visions and feel His compassion. This restores friendship and daily walks in the Garden. To offer the opportunity to live as Jesus did, out of Divine Initiative. 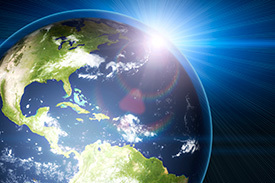 To align with others spreading revival, using all mediums of communication. How we do it - We clearly define the what and how of Spiritual experiences. See blog: We are the bridge. End Goal - You do everything as an outcome of daily conversations with God, and train others to do the same. LEARN, LIVE And SHARE The Experience of Communion Wtih God! Review the information below and ask God how He wants you to be involved. Check off the items God witnesses to your heart and become a partner in “saturating the world with Communion with God.” Call 800-466-6961 or 716-681-4896 or email [email protected] to discuss which approaches are best for you. If you have specialized gifts or talents you would like to offer, we would LOVE to hear from you! Make this experience of spiritual intimacy your own by purchasing and absorbing the training module so you are prepared to share it with others. Ask the Lord who you can join with as you master this skill of hearing His voice. Hire one of our Personal Spiritual Trainers for only $1 a day to serve as your coach in mastering this wonderful art of spiritual intimacy. Take this training as an online college course, REN103 Communion With God or here as a lighter electronic course. Release divine creativity out through your life! Create a business, a book, a song, a painting, a movie, or some other creative expression by following the guidance you receive through the voice and vision of God. Tell your friends about the amazing resources at www.CWGministries.org! 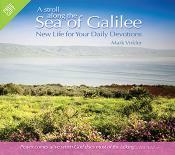 Pass out Sea of Galilee cards, CDs and DVDs – the simplest tool for experiencing God’s voice! Host small groups or seminars (home groups, Sunday school classes, etc.) using our DVD Training Modules with books and workbooks. You can even post your small group location on our interactive online map! Repost blogs from CWG and CLU and Born of the Spirit websites to your Facebook or website. Put a link on your website to the CWG website (www.CWGministries.org), and from our salvation website, which honors the role of the Holy Spirit (https://www.bornofthespirit.today/). Do one-on-one sharing of these principles. Become a Certified Facilitator of the Communion with God message, and begin teaching it throughout your region and around the world. Join over 50 other Certified Facilitators listed here! Become a CWG Affiliate and School of the Spirit Affiliate and post these training materials on your website to receive a percentage of what is sold from those who click through to our websites. Post your personal story of intimacy with God on your Facebook account, blog or website and link back to www.CWGministries.org so others can access our training materials. Linking back can also help boost CWG website rankings with Google which allows more people to discover CWG. Add your testimony of divine encounters on the CWG website, underneath the product that prompted you to take a step deeper into the river of God (click on the “Write a testimonial” icon/tab). Your personal story is powerful and will inspire others to take their step forward! See Tips for Posting Your Testimony. Check out "How To" Strategies Which Help You Lead Others Into Communion with God. Click here to download free training tools <---- New! Become a Prayer Partner – Prayers release God’s provision for CWG Ministries! Become a Financial Partner – Make a monthly pledge to support Communion with God Ministries ($25 or more), and receive a discount on all purchases you make! Discover an easy, no-cost way for you to support CWG Ministries financially! DEGREES from Christian Leadership University from your home! Tell others about CLU’s unique revelation-based learning approach! 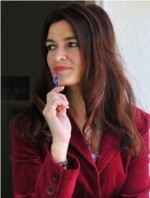 Christian Leadership University graduate, Cheryl McKay (Ph.D. in Christian Counseling, 2004), is the screenwriter for the award-winning film The Ultimate Gift and co-author and screenwriter for Never the Bride. In 2002 had recently gotten married to my husband Salvatore Cerniglia at a young age of 19 years. I had completed a 2-year degree in early childhood education in a community college just before getting married. I really felt in my heart that there was something special for me to do as a career so I began to pray for God’s perfect will for my life. 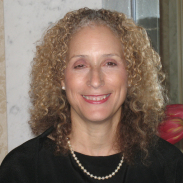 Around this time my husband Salvatore introduced me to Mark Virkler’s courses at Christian Leadership University, specifically Communion with God, and Wisdom Through Dream Interpretation. It was while I was taking these classes that God revealed to me His special calling for my life. I continued with my nursing school at that point and about one month later received another significant dream. Dream # 2: Down from heaven was sent a very colorful dancing streamer. I jumped up and grabbed it and started climbing up the streamer into heaven. There I found that I was standing in front of the Living God! He spoke to me in a low and beautiful voice. He said “Now you are ready.” Just then He proceeded to pour what looked like gold paint from the top of my head all the way down my body until I was covered with gold paint. Then I awoke. I immediately wrote down all I could remember in that dream in my dream journal. It was so powerful, but I still did not know what I was ready for. 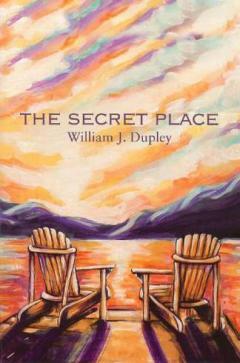 Bill has also authored the book The Secret Place, which is a description of the place where he meets the Lord daily during devotional times. It is an amazing story of walks with God in heavenly places. You will love it! You may explore it and order it here. Walt Pilcher, a retired successful CEO of several major companies, has taken the truths from the books Gifted to Succeed and How to Build a Winning Team, and written a complete book on bringing the organizational structure of Eph. 4:11-16 to the business world. When people use their apostolic, prophetic, evangelistic, teaching, and pastoral gifts while working together under the Holy Spirit's guidance, any organization they are involved in - whether a business, a church, or even a small committee - can tap into supernatural resources more powerful than they can imagine, leading to success that is potentially unlimited. Order this amazing book here. A CLU college course is being built which includes Walt's book, workbook and video series. Click here to download a free short story Walt has written. Patty Klingensmith, a CLU student, has produced a wonderful new book, The Courageous Cubs! Here is Patty to tell you about it in her own words. The Courageous Cubs was birthed as a result of several things. As Mark Virkler says often. “Life is a teacher.” My life experiences combined with the courses: Communion with God, Counseled by God, Wisdom Through Dream Interpretation and Mark’s CDs on Spirit Born Creativity have all played an integral part (these are CLU courses)! 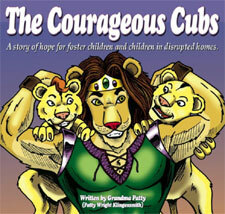 The Courageous Cubs is a story about two lion cubs that are in foster care. Andy and Omar have mixed emotions and feel they have no choice about their life. At times they are frightened and feel hopeless. The great lion guides them, showing the choices they do have! The book is intense, but ends giving Andy and Omar hope of a bright future! At first glance this book appears to be a children’s book, however, adults will love reading it too! It may take them back to their own childhood experiences and make the way for inner healing and peace. Children, family members, educators and caseworkers may read it and become more aware of the challenges children in troubled homes face. Hopefully it will create a soft spot in your heart for these children. When I was younger, I always wanted to take in foster children, but due to my marriage situation that wasn’t possible. My desire went unspoken for years! Then one day, my daughter Melanie and her husband Bob announced they felt the Lord wanted them to take in foster children even though they had not started their own family yet! I thought how faithful the Lord had been to the desire in my heart! Together we have fostered ten children! As a result, I became aware of the plight of these dear ones. It has resulted in a therapeutic children’s book complete with companion coloring pages. I want to get the message to judges, legislators, social workers, parents and children alike. 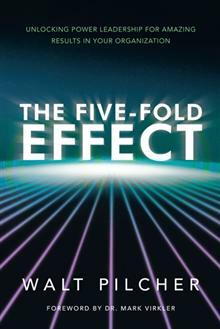 The book has received a professional endorsement by Jim Mills, MA, NCSP, School Psychologist. I hope it will call you to action! This is the perfect companion book to both Prayers That Heal the Heart and How to Hear God’s Voice. Jessie provides a detailed model of how to pray through a heart issue. It also takes the reader through a series of dialogues with God that He initiated to extend Jessie’s healing beyond what she even knew was possible. I had the opportunity to share the 4 Keys to Hearing God at a conference of about 500 Ugandans in Kampala, Uganda in January this year. I was very excited to be able to do this. I have also just finished teaching on Hearing from God at the Ministry School in Cape Town, South Africa for the last three days. Each time I go through the notes and also listen to your CDs on this teaching, God has given me even greater understanding and He has certainly opened up vision and dreams to me in a new way. I was listening to your CD on vision the other night, then dreamt and saw a picture of you, Mark, beckoning me. I realized that God wanted to take me deeper into vision and that I really had to take note! My husband also began to actively seek God for pictures of his business and the pictures have caused the business to really take off as he declared what he saw. 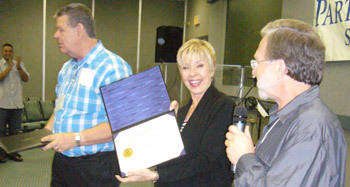 Mark Virkler was extremely proud to present an earned Doctorate in Christian Leadership to John Arnott, and an earned Doctorate in the Prophetic to Carol Arnott on October 5, 2010 at their annual “Partners in Harvest” Conference in Toronto. John and Carol have touched millions worldwide with the principles of spiritual intimacy and the Father’s Love, and we are absolutely thrilled to have them as graduates of Christian Leadership University. Our friendship spans 20 years, and in the last 12 years alone, the church in Toronto, has had me in to do a How to Hear God's Voice seminar approximately 50 times! This is more than any other church in the world! "The whole teaching on Communion With God has been a wonderful help as well as the Counseled by God teaching, which has been of great personal benefit both to myself and to my wife, Carol. Our church, our leadership team and our ministry team have greatly benefited from your courses and your ministry. Dialogue with God is worth a million dollars to any Christian who is serious about the issue of hearing the voice of God. 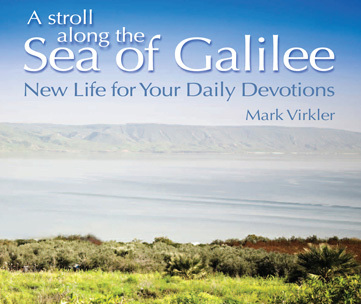 Mark’s teaching on this issue profoundly impacted my life." 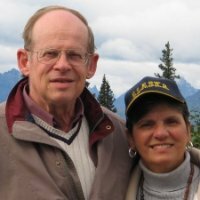 John and Carol have taught How to Hear God’s Voice and Counseled by God on numerous occasions. In addition, the Partners in Harvest churches and speakers have taken the message of Communion with God with them around the world in hundreds of conferences they have run. 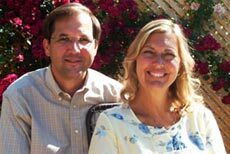 We greatly appreciate our friendship with John and Carol and their commitment to restoring spiritual intimacy to the Church at large, and pray God’s blessing upon them as they continue their worldwide ministry. 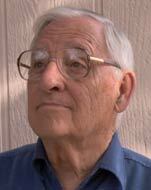 "I have been an active Baptist pastor for thirty-seven years. As far as I am personally concerned, seminars like 'Counseled by God' and 'Communion With God' and 'Naturally Supernatural' are absolutely fundamental to the building up of the inner life. I highly recommend him and his ministry to you." "Your manual on Communion With God is very, very rich and wonderful. I am going to study personally with it. I praise God for your ministry and wonderful contribution to the body of Christ." Mark Virkler is now teaching the CWG message in many residential Schools of Ministry from Hawaii to England! God is raising up many Spirit-filled residential school of ministry programs which range in length from three weeks to five months to two years. If you are looking for an intense, live-in ministry training experience, here are some of the excellent schools for releasing an impartation in which Mark has had the privilege to teach during the last 12 months: Catch The Fire Leadership School and School of Ministry, Global School of Supernatural Ministry, Youth With A Mission, Revival Fires School of Ministry, Singing Waters and more. We thank God for all of you, and especially our 50+ certified CWG facilitators who are teaching Communion With God seminars in nations all over the world! Let the fire grow! Thy Kingdom Come on Earth as It Is in Heaven – Dialogues with God by Ben C. Lunis, a Certified CWG Facilitator. In this book, Ben journals about key Scriptures which discuss the Kingdom of God, so it is Scripture interwoven with journaling. You will find this inspiring! “Our daughter and son-in-law wanted to go through the [How to Hear God’s Voice] course. My wife had taken the course with the women’s group at our church. We decided to open it up to others who were interested. We posted on Facebook that we were going to start the course the first week of January and put a link to your website on our status updates. “We had four people respond that they were interested and some had already checked the website and were excited. Our daughter and son-in-law brought two friends and each of the four people brought others and before we knew it we had seventeen people, seven of whom we didn’t know! 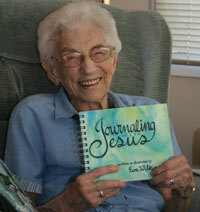 Dale Cresap's Daily blog of two-way journaling is posted on CWG Ministries! Dale shares his two-way journaling on his daily blog. Check it out on Dale Cresap's blog, updated daily. Sign up for these daily blogs here. We encourage everyone to share their life story of how they encounter the Holy Spirit in their own blogs or on Facebook. This becomes a billboard of your testimony to the world of your supernatural encounters with the God who is alive and "Immanuel" God with us. Let the world know that God is still walking in the garden in the cool of the day with all who desire to walk with Him. Learn to hear God's voice like this! Yes, Eva… the joy of the Lord on your face, in your heart, on your tongue! This has nothing to do with your age – except it is rarer, and therefore more noticeable, in older people. This is what I call you to – nothing as dramatic as you would like – simply the joy of the Lord that makes me visible. This joy is the product of closeness to me, the result of having been in my presence. It expresses fervor and gratitude, and a contagious spirit of caring. Here is good advice: stay in your room until you have dealt with negative feelings, bad moods, unwillingness to obey – pour them out to me, your savior and liberator. And when you are ready – go out and conquer the world for me with the radiance of joy, with the smile of delight, with the word or gesture of compassion. Sounds easy? It isn’t. Will it guarantee success? It won’t. But in the midst of it all I promise you my peace. I embrace you with my love, and I equip you with my power. Thank you so much! When your heart and your will are open towards me – nothing else is needed for us to be friends. Don’t worry about what you do or don’t do; keep declaring what you know about my attitude and feelings towards you, rather than expecting rebuke from me. By programming yourself for guilt, you give satan an open door. You are a much harder taskmaster than I am. True, I want to bring you to a greater willingness to die to yourself, your demands and your fears – but, as you know, my way is not your way. My way is one of tender love, founded on my having died for you. I love you so much that I want to bring you ever closer to me, to make you desire to become like me so much that all your demands and fears dwindle into nothingness. Live in me, abide in me, share yourself with me – that will become knowing and wanting what pleases me. It does not require some strenuous program, or a list of do’s and don’ts. I came to free you from such legalism. I came to fulfill the law. Fulfilling means enriching, revitalizing, clarifying. It brings life – resurrected life. I was saved in 1991 but was not able to hear the voice of God until I first attended Mark Virkler’s seminar in the spring of 2001. 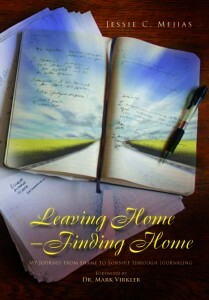 Over the course of that weekend I had six protracted two-way discussions with the Lord which helped clear out a lot of the emotional and theological baggage which kept me from hearing God clearly and established me in the practice of journaling and looking for vision from the Holy Spirit. A couple of months later while I was driving to church I felt the Lord tell me that He wanted me to start producing the visions that He was giving me while I was soaking and journaling. [I had originally thought that he said to paint them, but I realized later that it was too limiting a word for what He wanted to accomplish.] This declaration wasn’t a complete surprise, as I used to draw quite often up to and through my college years. But it was a major stretch for me, because I had artistically ‘shut down’ after I graduated from college because of performance orientation. I have an undergraduate degree in engineering and I make a living as a software engineer. At the time I received this word I hadn’t drawn anything in 9 years, and pretty much reckoned that avenue of artistic expression to be closed to me for good. Though I agreed with the Lord that this was something I should do – and in fact wanted to do, I couldn’t see any way around all of the obstacles in the way (most of which were internal). During the following weeks as I journaled about the obstacles, the Holy Spirit cleanly and painlessly identified and removed all of the emotional and mental blocks and reactivated an excitement in me for art that I hadn’t felt in 10-12 years. Since most of the visions that I was having at that time involved people I signed up for a figure drawing class (another major stretch, as all of my previous drawings had been landscapes and architectural studies). During this class I noticed that a number of things about my practice of drawing had changed as a result of my practice with journaling. Firstly, the time I’d spent listening to the affirmation of the Lord eliminated most of the self-critical voices which I used to commonly hear in my head ten years before. Secondly, I felt empowered to experiment in artistic areas that I had never tried before. Thirdly, I was much more attuned to the sense of flow as I worked, and the Lord was showing me how to properly integrate left-brain function (logic, analysis, problem-solving) into the practice of making art. With this one vision and the explanation that accompanied it, the Lord effectively changed my perception of art from being something that I am doing or creating in my own strength, to something that I am receiving from the Lord and participating with the Holy Spirit in ‘bringing to life’. The kinds of artwork which I most appreciate personally and to which I have always aspired have been those pieces which take movement and energy and express them in a way that you can feel it in a deep and personal way when you look at it. A number of the visions which the Lord was giving me were accompanied by a strong impression of energy and power, so while I was taking drawing classes I struggled to find a way to bring that feeling to life in my work. In the December of the following year a friend of mine suggested that I try sculpture as a way of exploring movement in three dimensions. My immediate response was “I don’t work in 3 dimensions”. I realized that this was an inner vow and took it to the Lord that evening, asking what the root of it was. As I journaled, He showed me a number of incidents in my childhood where I had started working with three-dimensional artistic mediums and each time the work I had been doing had been destroyed. The Lord healed the pain of these memories and broke the vows that I’d made in response to them in much the same way as He had healed the emotional and mental blocks that had shut down my artistic expression. Immediately I felt an excitement about working with sculpture, as if something inside of me which had gone to sleep had been woken up through the healing process the Lord took me through as I journaled. To this day I can still feel the power of the initial vision, and the feeling of it continues to mark and influence the sculpture I’m building today. 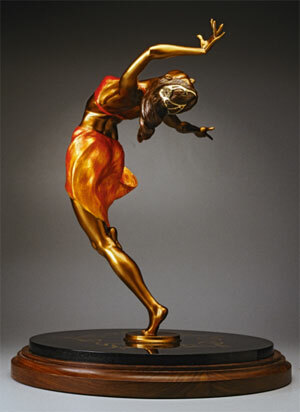 The companion pieces to this sculpture, “Water”, “Oil”, and “Wind” are all named after the physical substances which are used in the Bible to represent the Holy Spirit. They are part of a series which I called “Essentia”, because the figures embody and release the feeling or energy of the four substances for which they are named. Several years before I started sculpting, the Lord gave me a vision in which I saw Jesus at the Decapolis , and crowds of sick people flocking to Him to receive healing and the message of the Kingdom of God . The Lord explained to me that Jesus didn’t have to promote Himself, or send his disciples ahead of Him to get people excited about His visit. They heard of Him long beforehand and realized that He had “the real thing” – the real anointing, the real message of life and hope, and so they came out of the woodwork wherever He was. He told me that I would see a day when churches and ministers would no longer have to promote themselves; that I would see a day when the unbelieving would raise up a platform for the church because the world would see that the church had the real message of life and hope that it needed to receive. 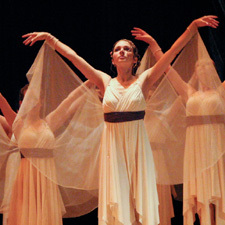 Not long after that I was contacted by the head of a dance organization who had seen photos of my work online and wanted to showcase them at a small dance festival which he was holding the next summer. While a small beginning, I believe that it is the first fulfillment of the vision which the Lord gave me of how He wants to use the work (and more to the point, the anointing in the work) to reach out and draw in people who are sensitive to the Spirit but are turned off by religion. In 2006 the Lord has used the original four bronze sculptures which I built to open doors for me in the artistic community in Pittsburgh (where I live) and to give me opportunities to share the life that I’ve received from God with other artists who are viewing my work, or with whom I am working with to get the sculptures built. It would take too much time to go into all of the challenges that I’ve run across while pursuing this dream. I don’t have any formal artistic training, and I have to learn everything as I go along, letting the visions which the Lord shows me direct me to the materials and skills which I need to master to produce them. The process of producing sculpture is very expensive, so concern about financial is an ongoing battle. Additionally, there have been instances where people (well meaning or otherwise) and spirits of intimidation have tried to defuse my passion, blur my vision, or drive me back. Every time I go back to the Lord and journal about the obstacles and the original ‘commission’ He gave me, He gives me visions or messages which strengthen my faith and allow me to push the obstacles aside and move forward. I am also encouraged by the work of a number of other gifted artists in my home church who have a similar desire to see the lost touched by the power of God flowing out through non-religious artistic expression. My hope is that eventually Mysterion Studios (the corporation which I founded to help me finance and promote the work that I’m doing) can become an umbrella organization for artists of all kinds who share that desire.